Found in Duval County, Florida, Jacksonville Beach is one of the Jacksonville Beaches communities found on the Atlantic coast. The city has a population of about 22,600 residents. As a beach community, it's very popular for visitors, especially during February and March. Duval County is home to nearly 900,000 residents. It's a much larger area covering other beach communities and a large position of the Jacksonville Metro area. The area doesn't attract as many visitors as other cities in Florida, but many pass through and many do come to the Jacksonville area every year. About 14,000 traffic accidents happen annually throughout Duval County. Out of those accidents, just about 10,000 involve injuries and more than 125 are fatal. Jacksonville Beach is near Interstate 95, Interstate 295 and A1A. These major highways become very congested from daily use. I-95 has been listed as one of the most dangerous highways in the entire country. Traffic accidents in both Duval County and Jacksonville Beach are on the rise. About 90,000 traffic tickets were issued in Duval County in 2015. Out of those violations, nearly 41,000 were for speeding with another 12,800 for careless driving and another 12,700 from the red light cameras. Only about 7% of the tickets issued were actually dismissed by a judge, meaning your chances of getting the ticket dismissed are very slim. Online traffic school may be the best option you have to avoid a suspended driver's license in Jacksonville Beach. When you receive a traffic ticket, it comes along with a certain number of points on your license. These points add up and if you get too many tickets, you may face a driver's license suspension. Not only will you have to deal with finding rides, but you will also have to pay a reinstatement fee and higher insurance rates if your license is suspended. If you do end up with a license suspension and you try to drive, you may face up to a $500 fine and 90 days in jail, if you’re caught. It doesn't take very many tickets to end up with a suspended license. 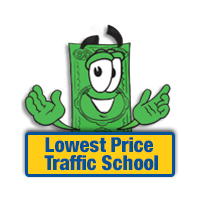 Traffic school allows you to erase the points from a recent traffic ticket. You can enroll right online and take the class from the comfort of your home. The process is very easy. Simply pay your ticket, enroll in online traffic school, complete the basic driver improvement course and turn your certificate of completion into the clerk of the court. It's that simple and you can keep points off your license, while keeping your insurance rates from going up. 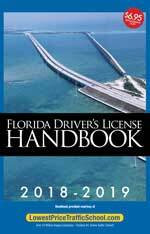 The State of Florida allows drivers to avoid points on their license once every 12 months with traffic school and up to five times in your lifetime. If you've never attended traffic school before, you're eligible to use it for your most recently traffic citation. Even if you've taken it before, if it has been at least 12 months and you haven't taken the course at least 5 times, you can still use the basic driver improvement course to erase points. Traffic tickets issued in Jacksonville Beach, regardless of the law enforcement agency, are handled by the Duval County Clerk of the Court. You will pay your ticket with the clerk of the court and inform the clerk you wish to enroll in traffic school. For more information about the Duval County Clerk of the Court, visit the website.